Tancred Ogilvie reporting from Jedda, Saudi Arabia and Hotspur Fancyshanks from Tubingen, Germany. Ogden Orffe, photographer, exclusive to MNS. The Prince, seen here, proves that occupational therapy can work for Saudis by successfully rubbing his thumb with his index finger. It is believed that the conversation got the prince thinking. Yesterday, it was announced that the prince required surgery in Germany. In Tubingen, Dr. Laszlo Umbringer of the Tubingen-based Krankhaus fur Kauderwelschsprechenleiden, detailed the plan for the Saudi royal’s treatment. He told us that he would be undergoing what the Germans call a “Twitchectomy”. In the U.S., the procedure is now referred to as “Spasmodectomy”. Our MNS affiliate in Germany, Inflatonews, confirms the prince has opted for this very radical approach which will necessitate the insertion of a live gerbil between his sinus and the hippocampus in his brain. 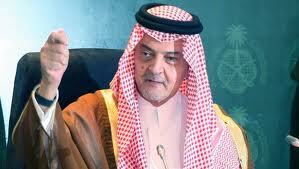 Prince Saud Al-Faisal is afflicted with a condition that makes him “twitch, slobber, stutter, speak gibberish, expectorate suddenly, ululate in the presence of wolves, and roll his eyeballs when among more than five people”. Dr. Umbringer said that the surgery will reduce these “manifestations of bad taste” and possibly “eliminate the need to howl when among dogs and the like”. The Saudi chargee d’affaires in Berlin would only comment on the Saudi diplomat’s arrangement with the Tubingen Clinic and its relationship to the postponement of the Arab League Conference in Cairo. The prince in Jedda made his famous speech to the “Saudi Sandbag Manufacturers’ Organization”: “Dddd, gibber, gibber, skhlubdat chiceknwire bbbb”. We will keep our readers informed as to the success of the surgery.